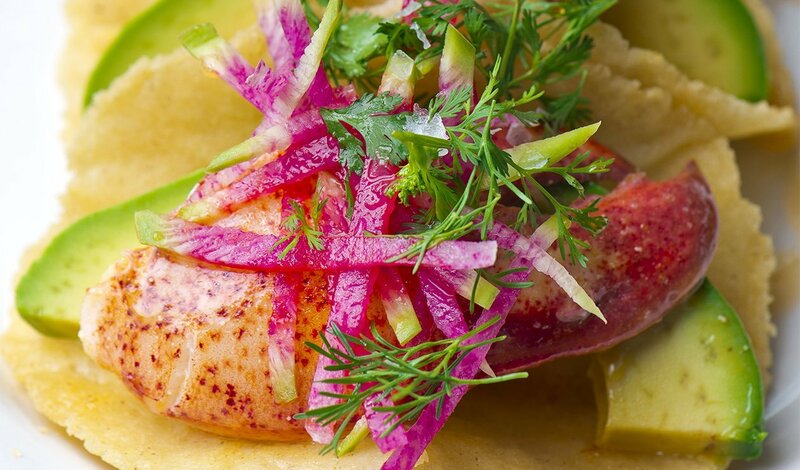 A refreshing, summer taco that bursts with fresh flavors and textures. Crisp apple in the slaw accentuates the sweetness of the buttery lobster. Place crumbled cotija cheese in a bowl. Add Hellmann's® 1/2 The Fat, lime juice and lime zest. Mix well while still leaving the cotija cheese crumbled. Season to taste with salt and thin with a small amount of water if necessary.